Nancy Jane Wharton was the daughter of Joshua B. Wharton and Elizabeth Ann Cooke, born abt. 1815 in Tennessee. Coming from Lawrence County, Tennessee to Independence County in the Arkansas Territory before 1830, a few years later, Nancy Jane's father, Joshua Wharton, was one of the earliest settlers of Wharton's Creek, in War Eagle Township, in Madison County, Arkansas. In 1839 Nancy Jane Wharton married Lorenzo Dow Dunlap, the son of Jesse Dunlap, Sr. and Mary Williams, in Madison County, Arkansas. The couple resided briefly in Madison County, before moving to Johnson County, and then Marion County, Arkansas. Lorenzo Dow Dunlap had guardianship of Nancy Jane's brother Caleb Wharton, who was "not of sound mind", until it was decided that their family would move to California. Custody of Caleb Wharton then went to Nancy Jane (Wharton) Dunlap's sister Telitha (Wharton) and her husband, Robert Wilson. Nancy Jane's younger sister, Mary M. (Wharton), was married to her husband's younger brother, Jesse Dunlap, Jr. With her sister Mary, her husband's brother Jesse Dunlap, Jr. and their family, Nancy Jane, her husband Lorenzo Dow Dunlap, and their eight children, comprised "The Dunlap Train" that departed from Marion County, Arkansas in April of 1857. "The Dunlap Train" had 18 children with them, their ages ranging from 18 years to 7 months. 13 of the Dunlap children died in the Massacre. Nancy Jane (Wharton) Dunlap, her husband Lorenzo Dow Dunlap, and 6 of their 8 children (Thomas Jesse Dunlap, John H. Dunlap, Mary Ann Dunlap, Talitha Emeline Dunlap, Nancy Dunlap, and America Jane Dunlap) died in the Mountain Meadows Massacre. Nancy Jane's two youngest children, Prudence Angeline Dunlap, born 9 January 1852 and Georgeann Dunlap, born 1 February 1857, survived the Massacre. In 1859 the two Dunlap girls were returned to their paternal aunt Nancy Isabella (Dunlap), the wife of William C. Mitchell, in Marion County, Arkansas. Nancy Jane (Wharton) Dunlap was 42 years old when she died. 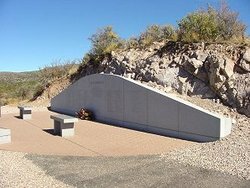 *Please note that the names of the victims of the 1857 Mountain Meadows Massacre that appear here are those who we have personally researched and verified as actual victims. In some cases this list will differ from the names that were inscribed on the 1990 Monument on Dan Sill Hill. Find A Grave, database and images (https://www.findagrave.com : accessed ), memorial page for Nancy Jane Wharton Dunlap (1815–11 Sep 1857), Find A Grave Memorial no. 60453, citing Mountain Meadows Massacre Memorial, Mountain Meadows, Washington County, Utah, USA ; Maintained by Mountain Meadows Association (contributor 47057798) . your computer for Nancy Jane Wharton Dunlap memorial. I thought you might like to see a memorial for Nancy Jane Wharton Dunlap I found on Findagrave.com.